There is an epidemic brewing in today’s connected world. Children’s open, unchecked use of the Internet is leading to a shift in young people’s social interactions, often to the detriment of their mental health. Much like global warming, the world may not see the scale of the problem until it is too late. Allowing open access to the Internet for your children is the equivalent of allowing the world into your living room. Talk about Internet safety is on the rise, with new data and research regularly being produced, and online access being easier than ever for children – but we still have a way to go. Based on an online survey of UK parents, 94% of them said they have no parental controls on devices at home, only 24% said they actively monitor what their kids are doing online, and 74% said they have spoken to their kids about online safety. There is a lot of information out there to help educate children and parents about staying safe online, such as Internet Matters that gives age-appropriate advice and tackles a range of issues from cyberbullying to online grooming. But education alone is not enough, as children will always be inquisitive, curious and keen to test the boundaries. This is no different when it comes to Internet access, and it’s time for us all to confront this issue head on. Home Secretary Sajid Javid has stated that tech companies should have a legal responsibility to protect children from harm online. Companies and governments clearly have a responsibility to provide tangible tools to tackle the issue and empower parents to give their children boundaries in the virtual world in the same way they do in the real world. The development of technology to help control kids’ Internet access is increasing, but many of these fall short by not being robust enough to stand up to tech-savvy teens. We need more initiatives like Safer Internet Day, which this year takes place on Tuesday 5th February. The campaign’s slogan, “Together for a better internet”, is a call to action for all stakeholders to join together and play their part in creating a better internet for everyone, and especially for younger users. According to recent reports, the global parental control market was valued at around USD 1,400 million in 2016 and is expected to reach approximately USD 3,300 million by 2025. 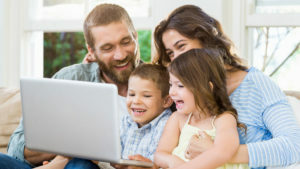 The global parental control market is expected to exhibit a Compound Annual Growth Rate of over 11.5% between 2018 and 2025. Some of the existing Internet controls are apps installed on children’s devices, which can easily be removed, switched off or circumnavigated and other solutions are unable to differentiate by device – offering an all-or-nothing blanket approach restricting access from all devices connected to a home network. One parent told us her Wi-Fi’s child protection controls meant she couldn’t place her monthly online wine order, leading her to turn the controls off completely. As a parent of three children myself, the need to keep kids safe is personal. We developed the iKydz suite of products to set boundaries on all devices for children of all ages and, importantly, to make it easy for parents to do so. 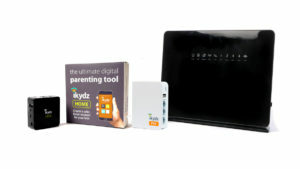 Whether at home on Wi-Fi or out and about on a mobile network, iKydz allows parents and carers to control the content available to each of their children’s internet connected devices, including mobiles, tablets, TVs, laptops and games consoles. Parents can easily block or limit access to adult content, manage social media access and set time limits for each child and each device, including limiting online time for gaming consoles. No access when they should be studying or tucked up in bed. 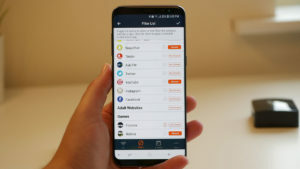 The benefit for parents is that this solution allows them to manage all their internet-connected devices at home as well as their kids’ mobile Android devices, all using just one app on their phone. Zyalin Group has also developed its iKydz product suite as a white-label service that gives Network Operators and ISPs a strong differentiator in a fractured marketplace that is crowded with poorly thought-through half-solutions around Internet safety and control. Instead, Zyalin Group’s solutions are delivered using a simple, scalable infrastructure, making it easy for operators and providers to deploy immediate revenue-generating, value-adding services to their customers. Better Internet safety is rising up the agenda of tech companies and governments alike. We need to build on this momentum to ensure we create a safer future for our children. Article by John Molloy, CEO, Zyalin Group. John Molloy is the iKydz creator and founder, and is the CEO of the Zyalin Group. He has over 30 years hands on experience in successfully building and deploying computer networks and software applications across the globe. Previously, John was the founder and VP of Viatrace, a global animal identification and traceability company based in Texas, USA. 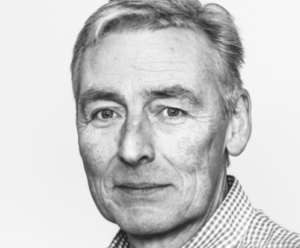 More recently as an independent IT consultant, John worked all over the world, working on IT development and implementation projects for major corporations.